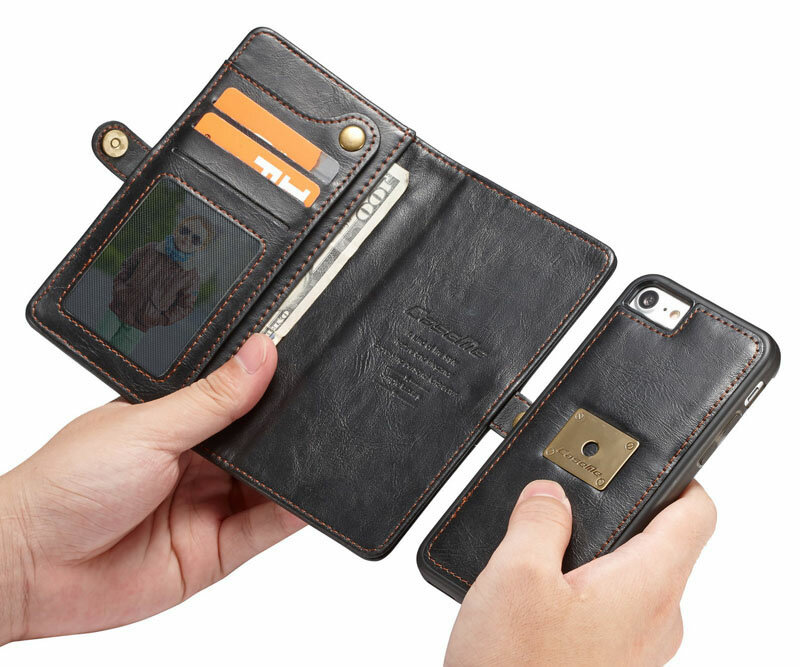 Free Shipping, Buy CaseMe iPhone 7 Magnetic Detachable 2 in 1 Multi-functional Leather Wallet Case With Wrist Strap at Official Casemecase.com. 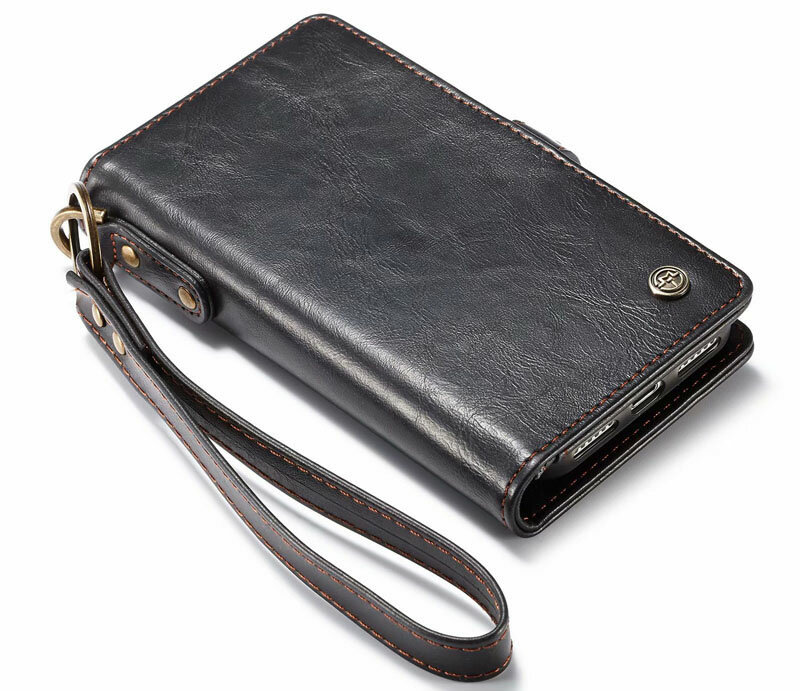 5 card slots + 1 cash pouches + 1 practical metal loop. 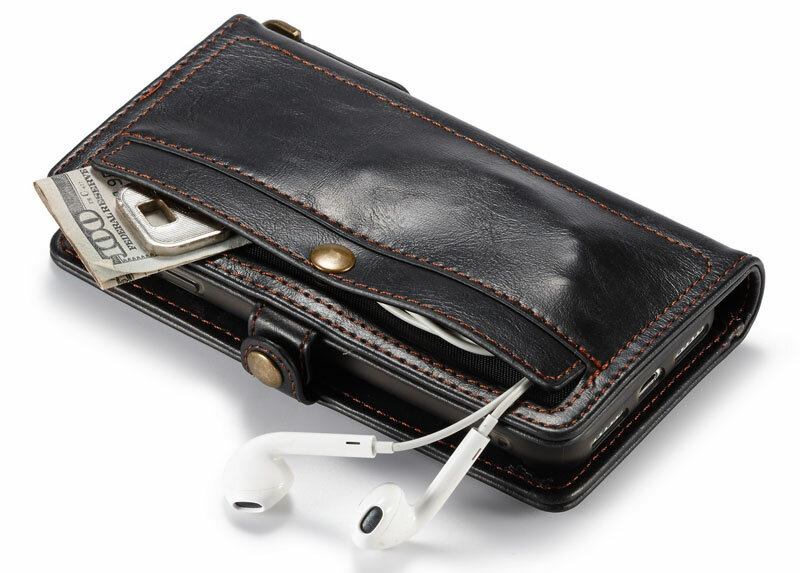 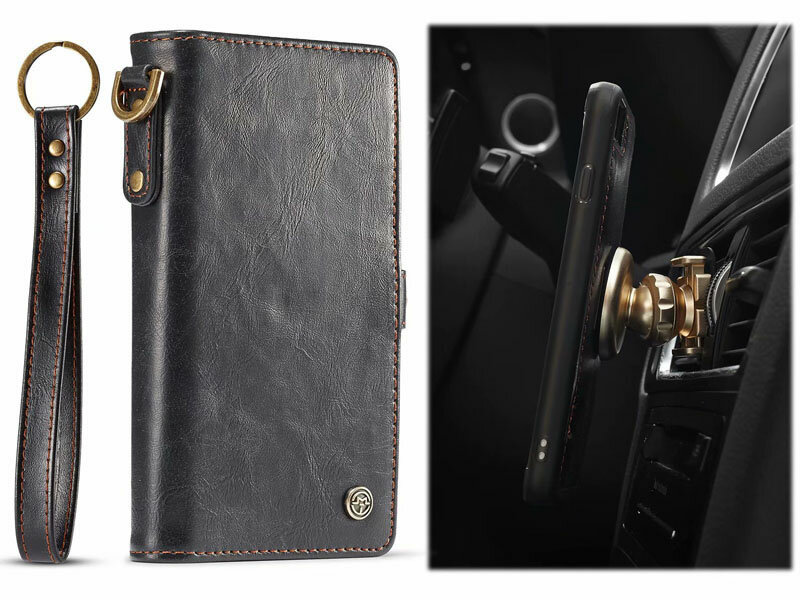 Mobile Phone case wallet can be separated from the wallet for those who want to travel. 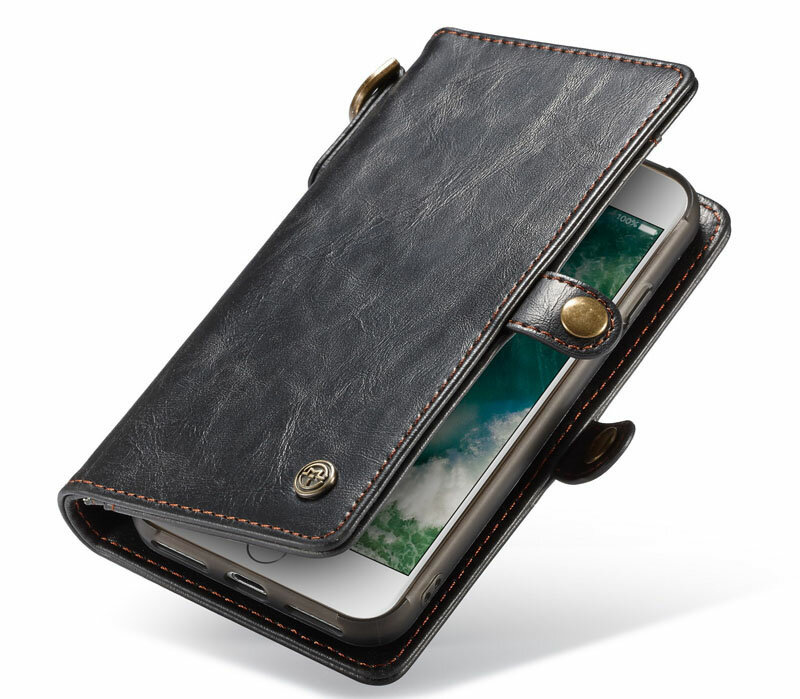 It protects your phone, and it’s very thin. 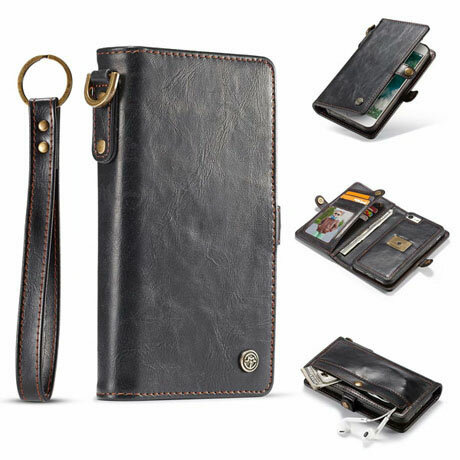 5 card slots + snap wallet + metal key loop + wrist strap, it almost holds everything, it meets all your daily demand. 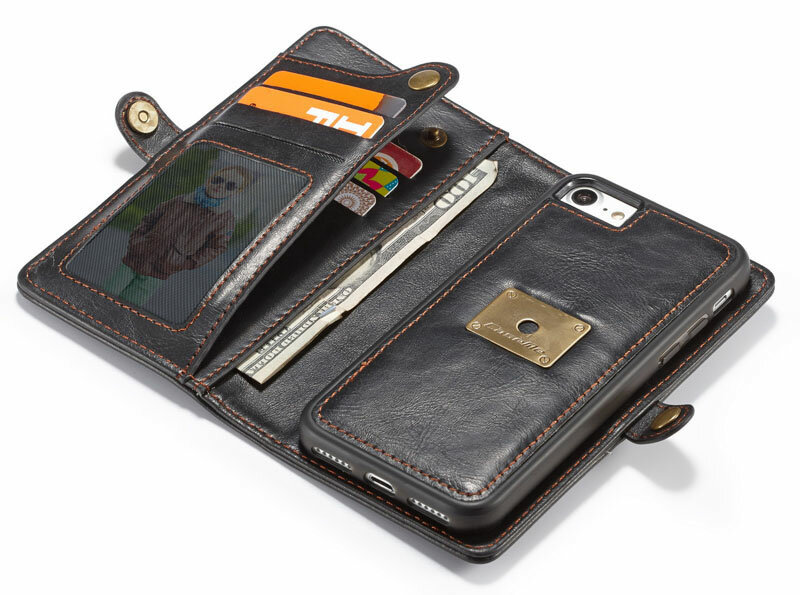 Stitching Process ,Oil paint, Sewing,Retro Second Layer Leather material design makes this wallet case comfortable to touch and grip.